The Department of Mathematics, Applied Mathematics and Statistics at Case Western Reserve University is an active center for mathematical and statistical research. Faculty members conduct research in algebra, analysis, applied mathematics, asymptotic statistics, bayesian statistics, convexity, dynamical systems, geometry, imaging, inverse problems, life sciences applications, mathematical biology, modeling, numerical analysis, probability, scientific computing, spatial statistics, stochastic systems and other areas. The department offers a variety of programs leading to both undergraduate and graduate degrees in traditional and applied mathematics and statistics. Undergraduate degrees are Bachelor of Arts or Bachelor of Science in mathematics, Bachelor of Science in applied mathematics, and Bachelor of Arts or Bachelor of Science in statistics. Together with the Department of Physics, it offers a specialized joint Bachelor of Science in Mathematics and Physics. Graduate degrees are Master of Science in Mathematics, Applied Mathematics, or Statistics, and Doctor of Philosophy in Mathematics or Applied Mathematics. The Integrated BS/MS program allows a student to earn a Bachelor of Science in either Mathematics, Applied Mathematics, or Statistics and a Master’s degree from the department or another department in five years. The department, in cooperation with the college’s teacher licensure program and John Carroll University, offers a program for individuals interested in pre-college teaching. 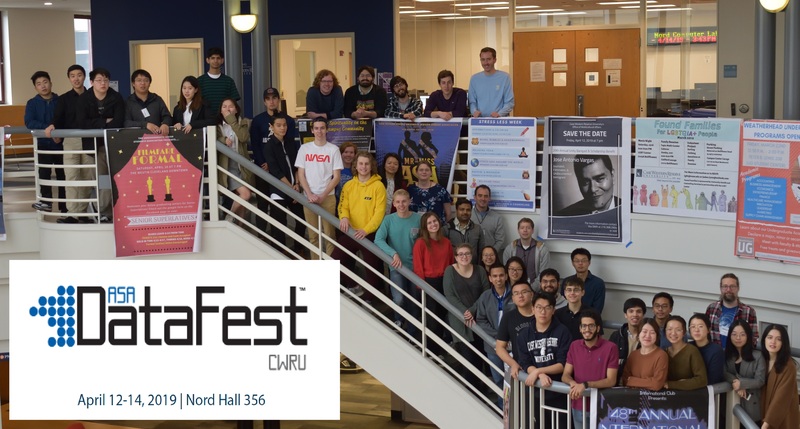 The department hosted the ASA DataFest 2019 @ CWRU on April 12-14. We would like to thank all those who helped make this event a great experience for everyone. Eleven teams persisted to the end and presented their findings on Sunday afternoon for a panel of judges. Congratulations to all presenting teams on impressive analysis and teamwork and engaging presentations. 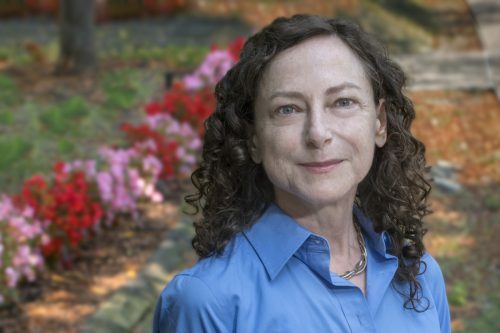 Professor Elisabeth Werner Awarded the Caroline-Herschel Visiting Professorship at Ruhr Universitaet Bochum, Germany. The university-wide Caroline-Herschel Professorship is awarded to “an excellent international scientist to carry out research and teaching at the Ruhr Universitaet during a semester.” Caroline Herschel (1750-1848) was a German astronomer, who contributed several discoveries of comets. She was the first woman to be named Honorary Member of the English Royal Astronomical Society. She was also an accomplished musician who performed as a singer. Join the Department of Mathematics, Applied Mathematics, and Statistics (MAMS) for an Colloquium given by Alexander Hoover of the University of Akron. Dr. Hoover will speak on “A Regularized Stokeslet Approach to the Motion and Behavior of Microscopic Swimmers.” The Colloquium will take place April 19, 2019 at 3:15 PM in Yost 306. The Department of Mathematics, Applied Mathematics, and Statistics (MAMS) invites you to attend an Applied Mathematics seminar given by Yangyang Wang. Yangyang will speak on “Shape Versus Timing: Linear Responses of a Limit Cycle with Hard Boundaries Under Perturbation.” The seminar will take place Monday April 29 at 4:00 PM in Yost 306. Department tutoring sessions will end on the last day of classes (April 29).